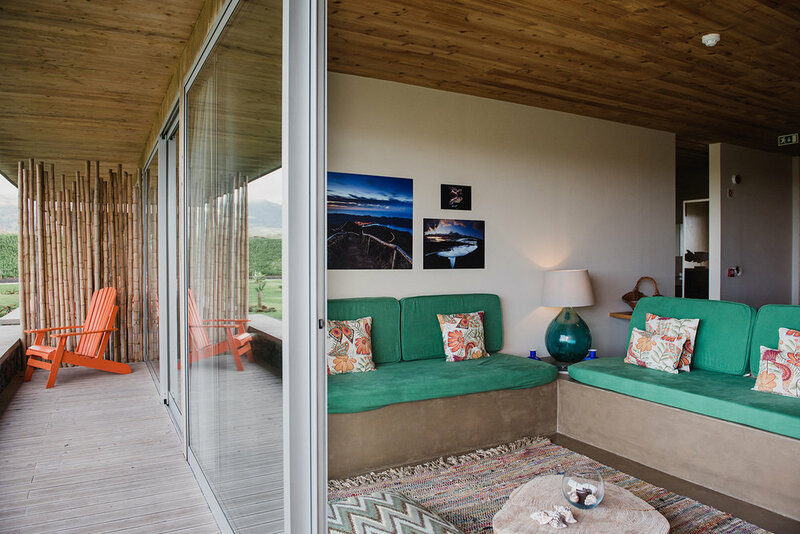 With its facades of cork and wood, the modern villas blend harmoniously into the environment. Inside, dark polished concrete is reminiscent of the volcanic rock of the Azores Islands. It is used not only as flooring, but also in wall and furniture design. All villas have a bathroom, living room, small kitchen, terrace and, depending on their location, have great views of the resort, beach and stunning mountain range. The Garden Villas have beautiful views of the resort’s garden and with it, floral scents, many endemic to the island. 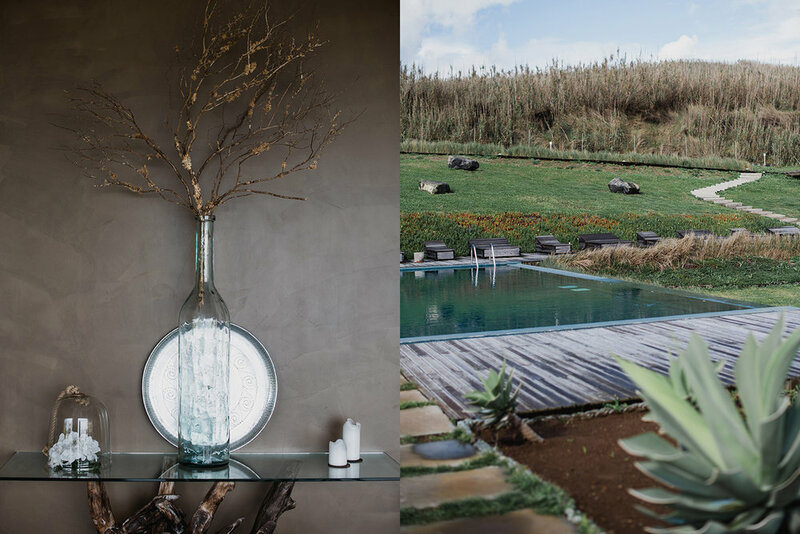 The Blue & Green Villas feature views of the beach or the Serra da Lagoa do Fogo. The Retreat Villas are the most exclusive at the resort, and also have a private Jacuzzi. 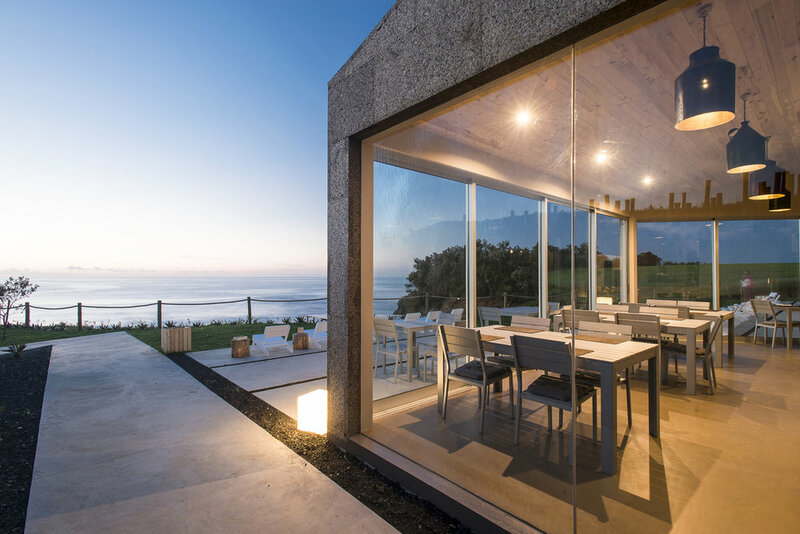 Enjoy a delicious breakfast buffet each morning of fresh local products from Furnas and Ribeira Grande. The restaurant Areais offers a menu of authentic flavors, achieved through the freshness of local and seasonal ingredients. Guests can also enjoy the best sushi and sashimi made with fish from the Azores. Enjoy a delicious cocktail or local passion-fruit soda in the beautiful bar with spectacular views of the sea! 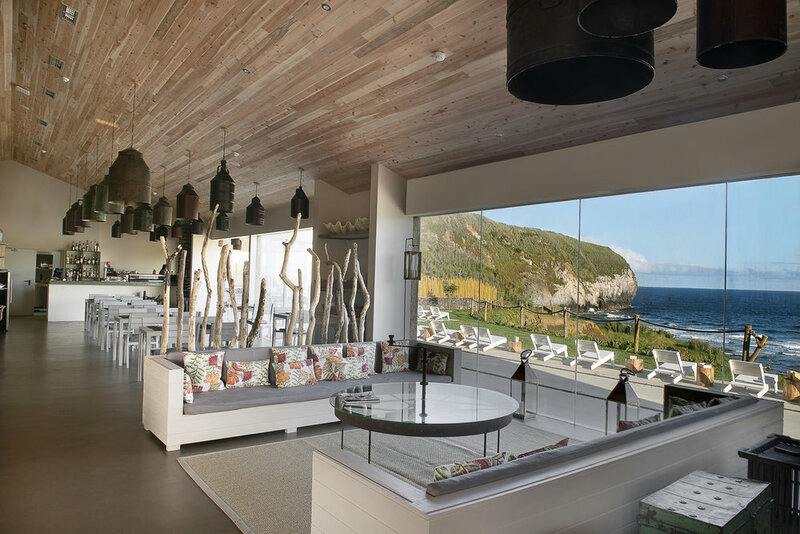 If the beach is your thing, relax at the Beach Club offering light meals and a magical environment situated on the famous Santa Barbara Beach . "Fill your fridge" service - just as it sounds, for a set fee, they will fill your fridge with delicious goodies so that you can utilize your kitchenette. An extra convenient perk is the ability to book any activity or service via an ipad in your room. Bonus! 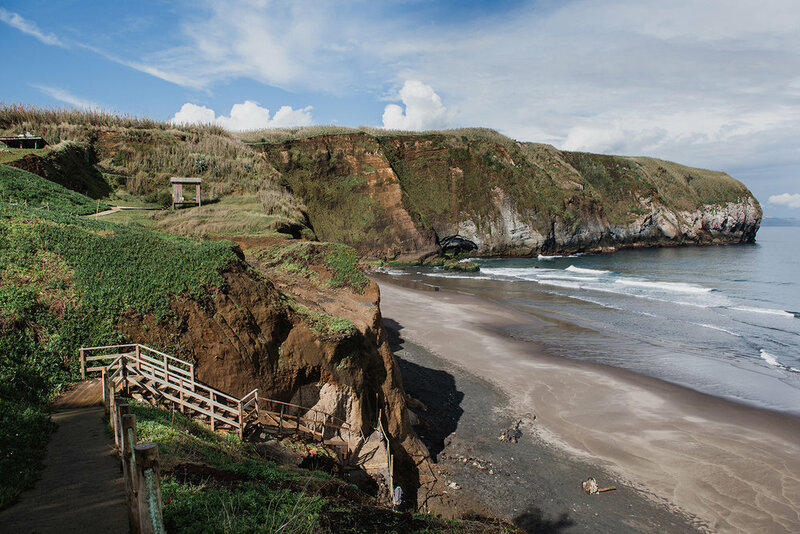 Located on the north coast of Sao Miguel, the closest city is Ribeira Grande, just 2km away. One bedroom villas starting at $150/night. Children are welcome! Childcare and cots are available upon request. One pet/room is allowed. Please inquire for details. Onsite activities include massages, yoga and cooking classes, and surf lessons. The resort can help organize off-site activities such as scuba diving, whale watching, canyoning, fishing, as well as walking and bike tours. Visit their website for more information and check out their instagram @santa_barbara_azores.